Music through the ages – Symphonies Fantastic! The Order of the Divine Brew’s musical ensemble would like to invite you all to a Classical Concert In the Town Hall of Bree, on the 11th of October 2014! (on the [EN-RP] Laurelin server). We have interpreted tunes from great classical composers that we will perform for all of you in this hour long concert. We hope that you will pull out your best dress or suit, put a shine to your shoes, and bring your friends and loved ones to the Town Hall of Bree this evening. Reception will be from 3pm /servertime, with concert start at 3.15pm /servertime. Refreshments will be served before and during the concert itself. The music scene in the kinship ‘Order of the Divine Brew’ have grown massively in the last couple of months, and we are now ready to show off our first concert in a concert row that will hopefully continue into the new year. The first concert is a classical one where well known, and not so well known, pieces arranged for 10 people will be held in the Town Hall of Bree (an arena that is seldom used for anything sadly ). 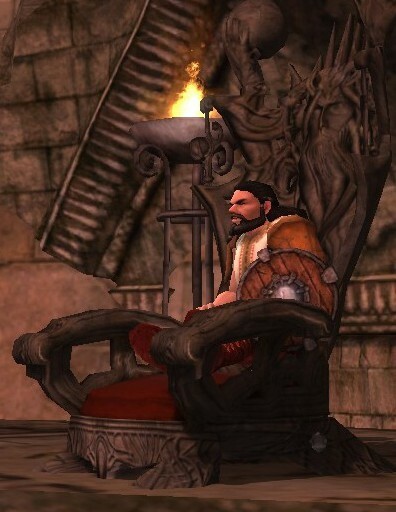 We try to make it a bit more rp’ish too with a reception before the concert where ya can mingle and get a taste of rare wines from around middle-earth while bards are playing soft music in the background. We hope that people will come and enjoy an evening with the classical composers and perhaps use the event as a backdrop of your own rp story (if you are an rp’er), or just to relax and get to hear some great music interpreted by the music system in Lotro.